Found a cheaper flight than Ryanair's? The airline will now refund you the difference, along with a €5 credit to your MyRyanair account. The new 'price promise' was unveiled today at the launch of Year 5 of its 'Always Getting Better' programme of customer service improvements. "While we continue to innovate, the one thing that won’t change will be our low fares – which we promise will not be beaten," said Kenny Jacobs, the airline's Chief Marketing Officer (pictured below). If customers find a cheaper fare, Ryanair now promises to "refund the difference + €5 to your My Ryanair account," it says. The offer applies to cheaper flights with other airlines to the same airport on the same day (plus or minus two hours), with full T&Cs to follow "when we go live". 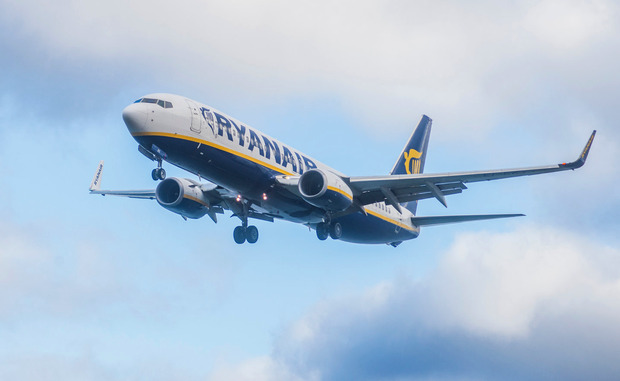 It follows the recent announcement that customers booking accommodation through its 'Ryanair Rooms' site can claim 10pc back in credit to spend on flights. Other changes announced today include a dedicated claims team aiming to process all valid EU261 claims within 10 days, and 'Try Somewhere New', described as "a unique travel hub" hosting travel guides and videos on ryanair.com. 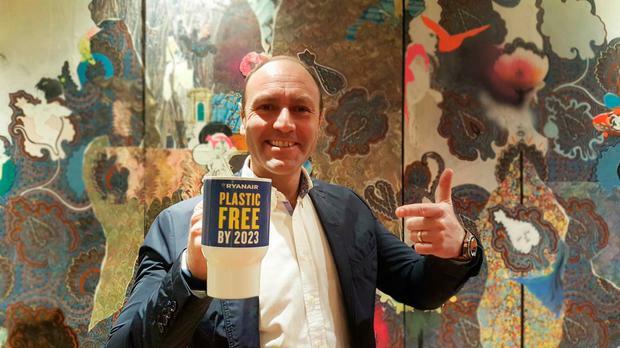 Ryanair has also vowed to become Europe's "greenest airline", with a recylables pledge to be "plastic-free in the next five years." The environmental plan includes a commitment to eliminate all non-recyclable plastics from its operations - by switching to wooden cutlery, bio-degradable coffee cups, and removing plastics from its in-flight products, among other initiatives. The move will also see a carbon offset scheme for customers, enabling them to offset carbon costs of flights through a voluntary online charity donation. Ryanair regularly airs its ambition to become the "Amazon of travel", with website and app now offering everything from package holidays to car hire. Its 'Always Getting Better' programme has ushered in a host of changes in the past four years, though its brand suffered a serious setback in 2017 with pilot rostering failures, a 'random' seating controversy and a threatened Christmas strike. A new baggage policy, which only permits customers paying €5 for Priority Boarding to bring two cabin bags onboard ('non-priority' customers may check the larger of their two cabin bags into the hold fo free) has been going smoothly, it says. This year, the airline will carry 129 million passengers.